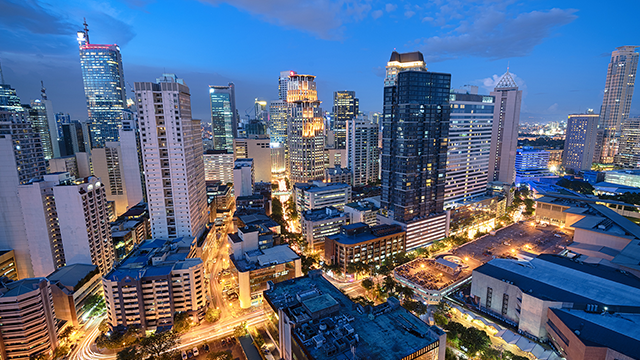 For the first time in a decade, the country slipped in the World Economic Forum-Global Competitiveness Report (WEF-GCR), ranking at 47th place this year. The WEF-GCR is an annual assessment of the productivity and competitiveness of 138 countries based on over 114 indicators grouped into 12 pillars. The report cited inefficient government bureaucracy, infrastructure, corruption, tax rates and regulations, policy instability and restrictive labor regulations as the country’s most problematic factors for doing business. 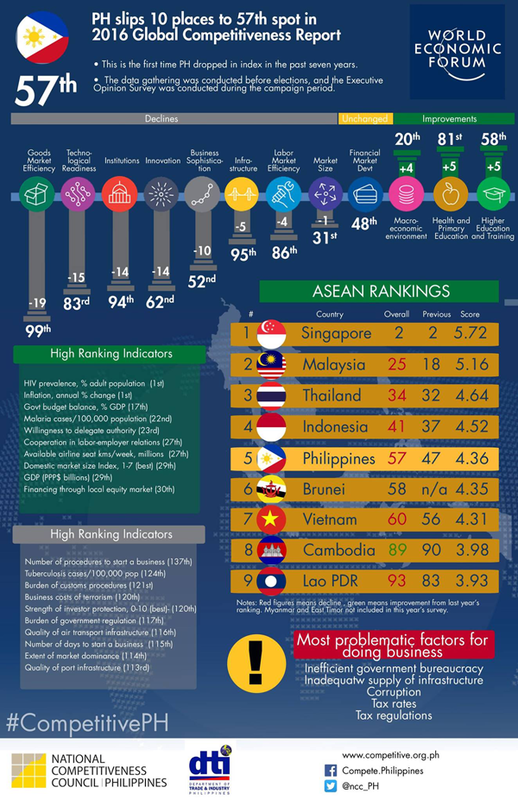 Despite such weak standings, the country was still considered as one of the most improved in the region, following China and Cambodia.